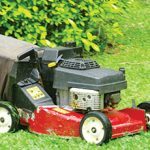 You may well be planning to use the upcoming Bank Holiday to get the garden sorted, but before you can sort out the lawn, hedges and borders you will need to ensure you garden appliances are in the best possible condition. If your lawnmower is lacking a cutting edge, the trimmer line keeps breaking or your chainsaw’s lost its bite then you can buy all the parts you need at BuySpares. Our range covers all the big brands including Flymo spares, Qualcast spares and Black & Decker spares. 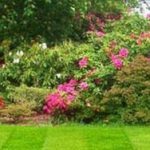 In previous posts we have looked at a variety of ways that regular garden appliance maintenance can help you achieve a lawn and garden to be proud of. We have posts to help you get the best out of your lawnmower, post to help you buy and use a grass trimmer and handy tips for the tools that can save your back and knees. In this post we round up some of the top posts for each appliance and where better to start than with the lawnmower. The lawnmower is perhaps the most used garden appliance and for this reason it is probably worth spending the longest time on maintenance. In the post ‘5 top lawnmower tips’ we cover everything from tips for ensuring an even cut to handy accessories that can benefit you mowing a larger than average size lawn. In the post ‘Malfunctioning Mower?’ we investigate why it can be difficult to get a petrol lawnmower to start following the winter season, while the post ‘Preparing for the first cut of the season’ we help you plan to succeed by timing the all important first cut to perfection. There are also tips on staying safe why you mow and choosing the right type of lawnmower for your garden. After you have taken the time to trim the lawn, the next job is usually to tidy up the borders and edges. For these tasks you will need to purchase and operate a grass trimmer, hedge trimmer or both. In our post “Your Guide to Grass Trimmers” we talk you through purchasing the right grass trimmer for your garden as well as the range of trimmer parts available should something go wrong. The post ‘Hedge Care Essentials’ offers some points for ensuring your hedges have an even and level finish with minimum effort. It isn’t just garden power tools that can help you to sculpt a wonderful outdoor environment. Hand tools are the unsung heroes of garden maintenance and there a vast selection available. 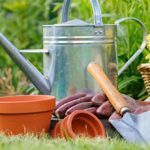 In the post ‘The tools every gardener should own’ we look at everything from secateurs for tidying up your roses to trowels and forks for planting.